Nov 19, 2015 in "Epcot International Flower and Garden Festival"
Marking its 23rd year, Epcot's Flower and Garden Festival will be longer than ever in 2016, increasing from 75 days to 90 days. Epcot's 2016 International Flower and Garden will begin on March 2 through to May 30 2016. Appearing for the first time in topiary form at the 2016 Flower and Garden Festival will be Huey, Dewey and Louie - Donald Duck's nephews. They'll be joining Donald and Daisy at the park's main entrance in a scene inspired by the 1943 Donald Duck comic "The Victory Garden." 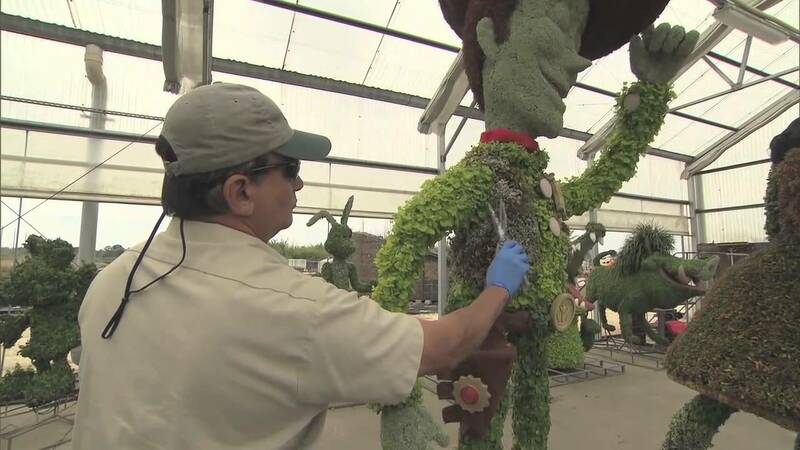 Honoring the 100th anniversary of the National Parks Service, Ranger Mickey Mouse will also be appearing in topiary form in a Future World garden with Spaceship Earth as the backdrop. The Outdoor Kitchens will return for their 4th year, selling garden and spring inspired food and drink. A new Fab Five play garden will debut with musical instruments built into the children's playground - along with topiaries of Mickey, Minnie, Goofy, Pluto and Donald. The Garden Rocks concert series returns to the America Gardens Theatre, with the performer line-up still to be announced. The butterfly garden "Butterflies on the Go" will once again tell the story of the Monarch's journey across the continent and a closeup look at their life. Future World's Festival Center will be home to the Gardening Seminars, with experts on-hand to offer tips and advice on outdoor living. The Epcot International Flower and Garden Festival is included with regular theme park admission.